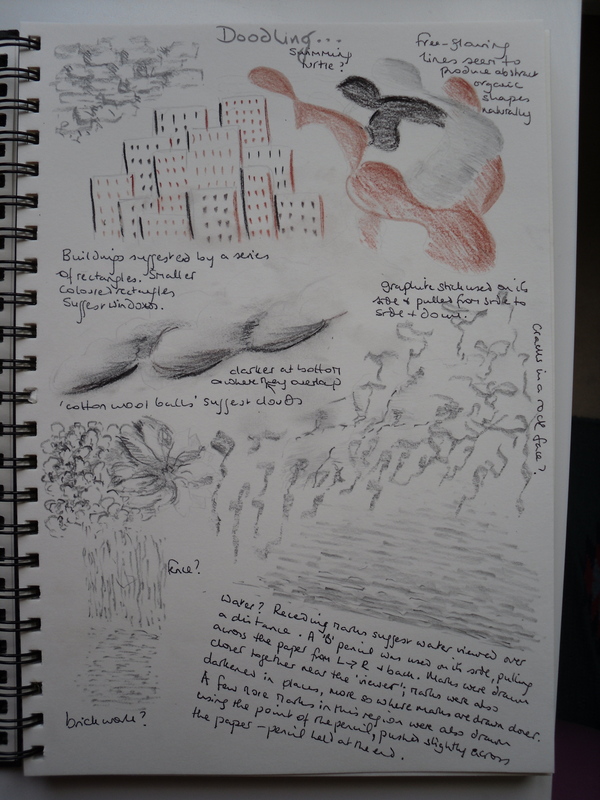 Sketchbook pages below include doodles using the following media. 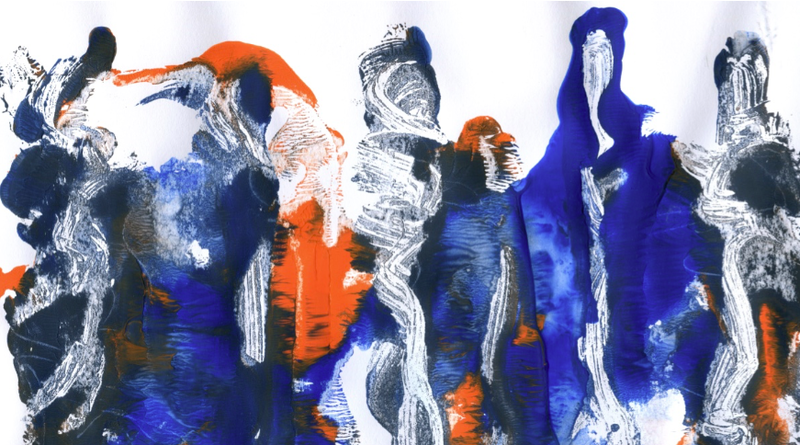 Fluid lines allowed to flow in and out of each other give rise to organic shapes. Receding marks suggest water. Turning the page around offers other possibilities. Using a diluted ink wash applied with a brush, lines of different thicknesses can be made by applying the brush sideways or using the tip alone with the brush almost vertical. Pushing, pulling and flicking all produce different marks. 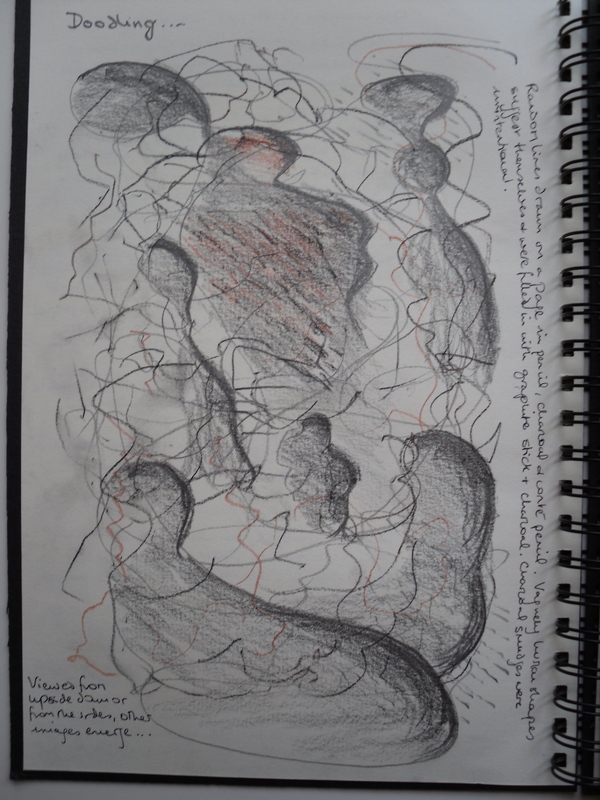 The last image in this entry was made in a recent workshop that I attended called “Intuitiv Zeichnen” (intuitive drawing). 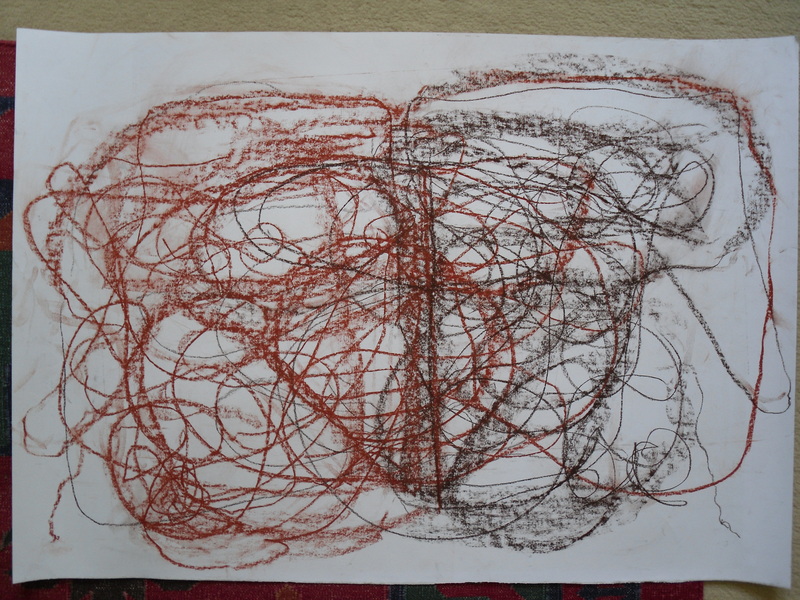 This particular image was made using red and sepia chalks in broadly symmetrical movements with right and left hands simultaneously, with eyes closed. It could count as an expressive doodle!